Featured today on Fiber Focus Friday is the vegetable that turns the noses of children, is considered by some to have the taste equivalence of several blades of grass, and somehow finds its way into most Chinese food trays, Let me introduce the fabulous broccoli stalk! Broccoli is an amazing food with more health benefits that a can of ACME super juice. Wondering what that is? Don’t think too hard, because I made it up! Sorry! Anyways, in this post you will learn all about broccoli. From its fiber content, to how to grow it, as well as some excellent nutrition/fun facts to carry on with you as you leave this site. As always, please comment with any questions or suggestions for future foods to be featured on Fiber Focus Friday! Also, please share this post with your friends and family because honestly, is there anyone that wouldn’t benefit from a little bit more broccoli in their lives?? Sprouting Broccoli is used in a similar way as asparagus since it is grown for its long, tender shoots. These shoots are used often in meals such as stir-fry. Calabrese broccoli is the most common form of broccoli. 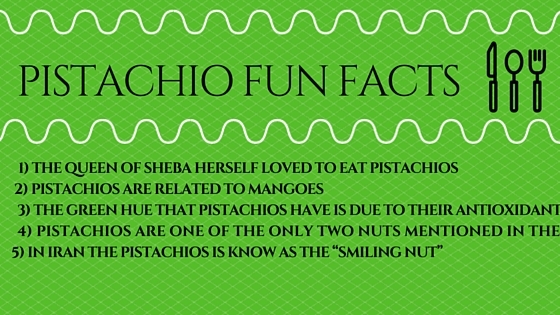 It is named after Calabria in Italy. It stalks are thick and it has large green heads. It is an annual crop that is grown mostly in the cool season. Purple cauliflower is a type of broccoli that is mainly on the markets of Spain, the United Kingdom, and southern Italy. It is basically a purple broccoli that looks more like cauliflower. For more on this type of broccoli see What’s the Deal with Orange and Purple Broccoli. The creation of broccoli stems from careful cultivation of leafy cole crops in the northern Mediterranean beginning in the early 6th century BC. This means that broccoli is actually a man made food! Weird as this might seem, this super vegetable is not considered to be a GMO, but the discussion of that phenomenon is beyond the scope of this article. See the previous link for more information! It is indeed possible to grow your own broccoli at home. Unlike such fruits as apples or oranges, the task of growing broccoli does not take years and years to accomplish. In actuality, you can have your own broccoli in as little as 65 days! Wowza! To grow your own, follow the tips given at Almanac.com. If you have kids, be aware, because as soon as edible broccoli forms into existence, it will be everything you can do to keep them away! (okay for real though, if I only knew what I was missing as a kid…). The fiber content of broccoli is just about 4 grams of fiber per stalk. Along with the 4 grams of fiber you are getting 50 calories, a little over 4 grams of protein and only 2.6 grams of sugar. Broccoli is one of the best and brightest high fiber foods you can eat, as it’s good nutrients vastly outweigh the negatives. The only true negative is the sugar content, and the amount is small indeed when compared to most other foods. Broccoli has several health benefits. The health benefits of broccoli can be seen just by the fact that it is low in calories, high in fiber and protein, and low in sugar. Eating broccoli with abundance is a great idea for anyone that is hoping to up the nutritional value of their daily diet. Broccoli will help you to lose weight due to its high fiber content. You don’t need to eat a lot of broccoli to get a good part of your required daily fiber amount. 2 stalks will give you about 8 grams which is 21% of your daily value if you are an adult male, and 32% if you are an adult female. 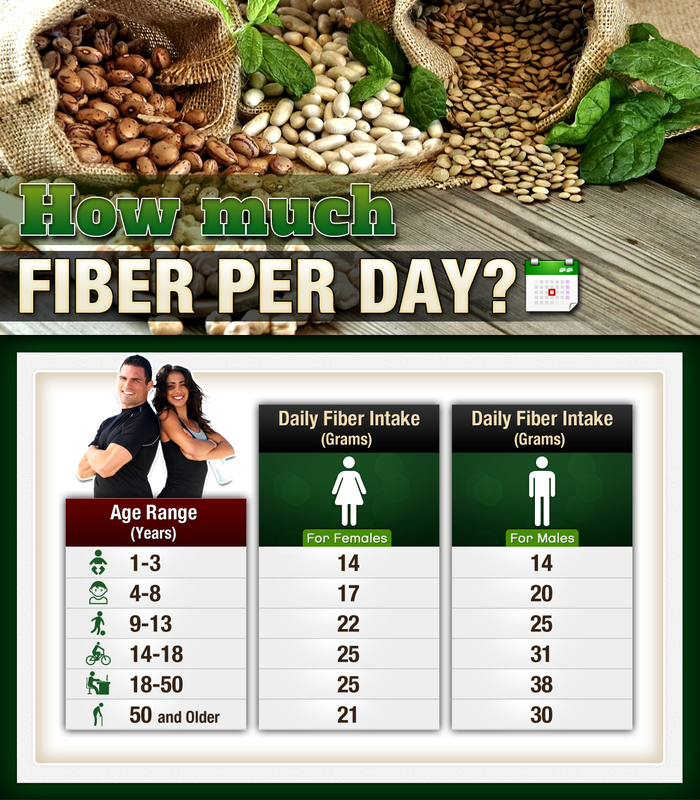 Don’t forget to determine your daily fiber intake! 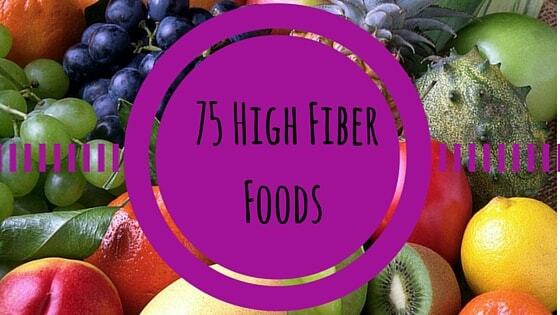 The Fiber will also help to regulate blood sugar content. Broccoli is a good source of excellent antioxidants including lutein and sulforaphane. These antioxidants boost your immune system and keep you from getting sick. The vitamin C content in Broccoli is ridiculously high (one of the highest in the cruciferous vegetable family). Upping your intake of vitamin C will help to keep you from getting sick! Broccooli is high in other nutrients such as zinc, iron, magnesium, and phosphorus. The power of folate, which is a necceasy nutrient for the production and maintainence of new cells in the body, is readily available in every stalk of broccoli. Thomas Jefferson, one of the founding fathers of the United States, was a fan of broccoli, importing the seeds from Italy to plant at Monticello. California produces 90% of our nations broccoli. Over 30,000 broccoli plants can grow on 1 acre of land ▪ If broccoli is not harvested in time, it will turn into a head of yellow flowers. 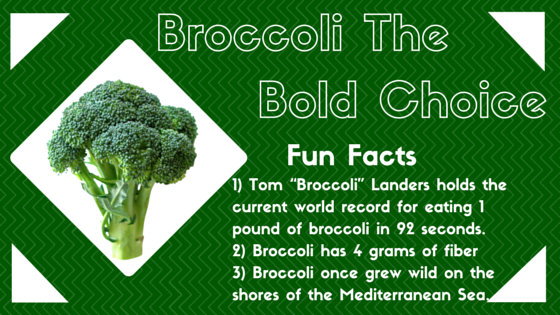 Broccoli once grew wild on the shores of the Mediterranean Sea. It has twice the vitamin C of an orange, almost as much calcium as whole milk (with a better rate of absorption), and contains anti-cancer and anti-viral properties with its selenium content. Until the 1920’s, was virtually unknown by most Americans. Broccoli production in the U.S. increased 700% betwen 1971 and 1991 and is continuing today. The good news is that I am not a rabbit! I eat my broccoli either cold or with a meal. My wife and I constantly have broccoli strewn throughout our fridge and our freezer. We add it to salads and just about every type of dinner meal you can imagine. Broccoli is super versatile, so just try adding it to your next meal that consists of chicken, rice, or pasta! First of all, don’t forget to sign up for the Fiber Guardian newsletter to receive updates, as well as awesome post bonuses. Lastly, Broccoli is not a vegetable for the faint of heart (well actually it is…) and eating it is like going on a journey toward health enlightenment. 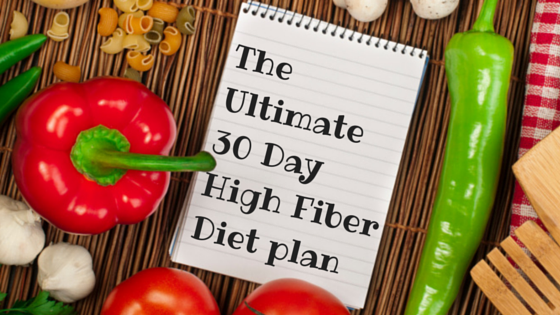 It is versatile, delicious, and nutritious, and it is a food to add to your high fiber diet right away! What are your thoughts on Broccoli? Do you like it or hate it? Wow, I knew it was healthy, but had no idea HOW packed with nutrients it was. I love putting it in pasta salad and stir fries w/a little olive oil. I’ll definitely be upping my intake after reading this! Pasta salad is how my wife likes to have it! It is easy to keep around because you can freeze it and cook it whenever! 🙂 Thanks for the comment! Broccoli is a natural gift to the humans. Its packed up with high nutrients. Thanks to the author for focusing on broccoli and its uses.